The PICMG Advanced Telecommunication Computing Architecture defines open architecture modular computing components that can be quickly integrated to deploy high performance services solutions. 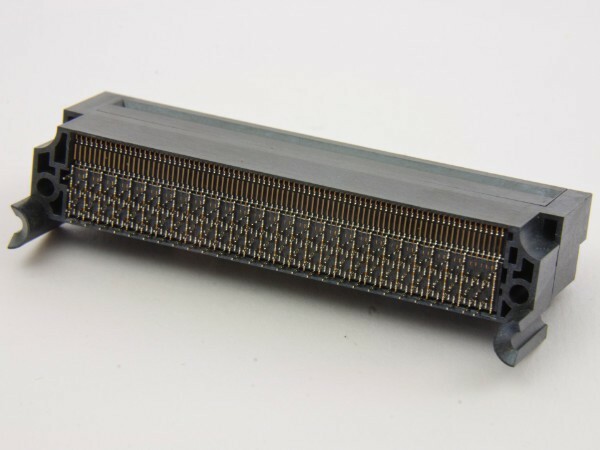 For ATCA® applications, ept offers both signal connectors and power connectors that meet PICMG® specifications. Ept connectors meet the highest quality standards and help make AdvancedTCA® systems much more reliable. For ATCA® applications, ept offers both signal connectors and power connectors that meet PICMG® specifications. ept is an active member of the PICMG, which is a consortium of over 450 companies who collaboratively develop open specifications for high performance telecommunications and industrial computing applications. The members of the consortium have a long history of developing leading edge products for these industries. AdvancedTCA® is mainly aimed at the infrastructure of telecommunications systems requiring maximum availability. With AdvancedTCA® it is possible to set up modular systems with modules from different manufacturers. This technology thus offers the possibility to develop flexible and low-cost systems faster than previously possible with proprietary systems. AdvancedTCA® is a scalable, powerful architecture with a high degree of functionality, availability and future safety. Many future-oriented applications can be implemented on this platform. Further advantages are scalable data rates of several Tbit/s, support of multi-protocols, new services can be integrated, the convergence of access, core and optical networks as well as the integration of computer center functions. Interfaces for Gigabit Ethernet, Fibre Channel, Infiniband, StarFabric, PCI-Express and RapidIO are evidence of the high flexibility of the AdvancedTCA® architecture. Another core feature of the systems is their high availability of 99.999 %.